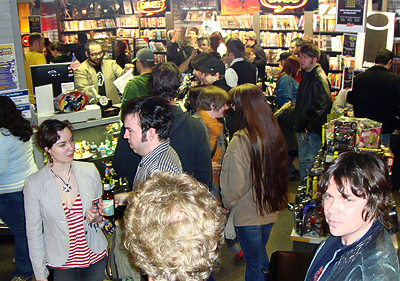 Comic Book Month, declared by Mayor Sam Adams. It began with a First Thursday reception at the Portland Center for the Performing Arts, featuring a group art show that included a couple of Boilerplate Weekly Magazine covers. 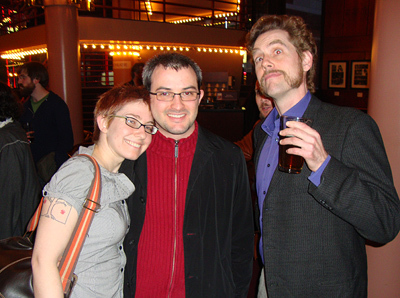 Above: Erika Moen, Matthew Nolan, and Conch. 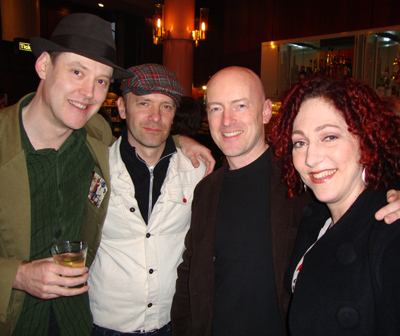 Right: Paul and Anina with Arnold and Jacob Pander. 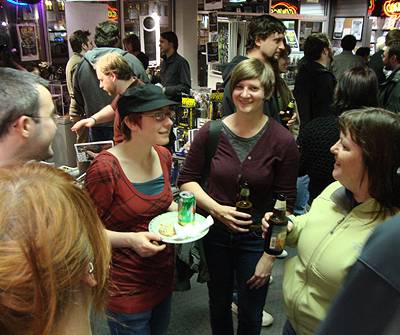 Above: Erika with Sarah Oleksyk and Terri Nelson. 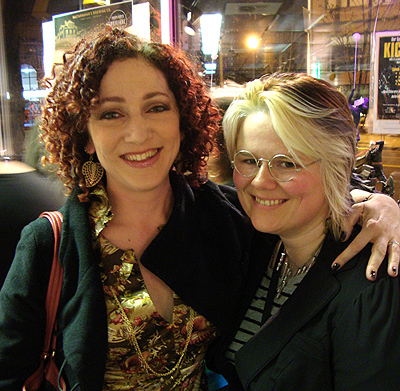 Right: Anina with Sara Ryan. 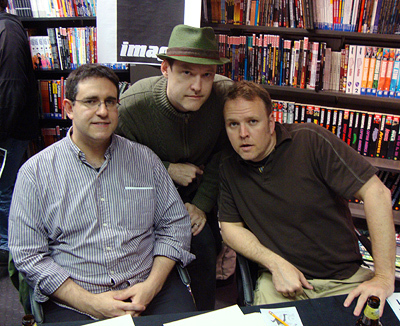 Above: Paul with UNDERGROUND creators Steve and Jeff. 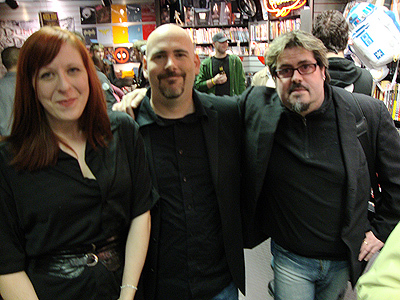 Left: Rebecca and Pete Woods with Matthew Clark. PART TWO: THE 2010 FEST ITSELF! PART THREE: THE ART BATTLE!! 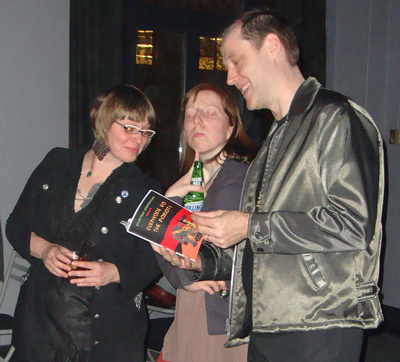 Paul at the Stumptown Underground zine release party with Blue Crow and Kirsten Smith. This issue is called "Everybody do the Robot," so naturally Boilerplate makes an appearance in it. 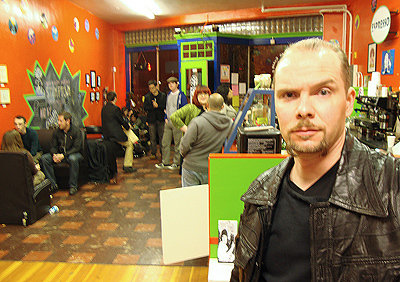 Above: Shannon Stewart lookin' sly at the opening night Stumptown party, held at Guapo Comics. 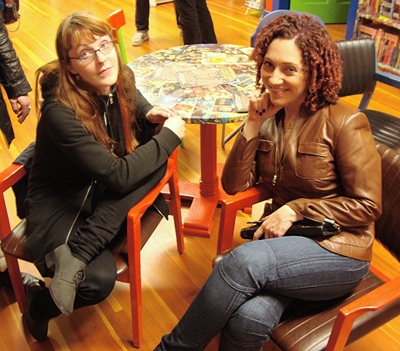 Below: Angela Kelley and Anina confab at Guapo before going out on the town with Shannon, Dean Haspiel, and Paul Pope (sadly, we got too drunk to take pix). STUMPTOWN 2006 - A crazy weekend!